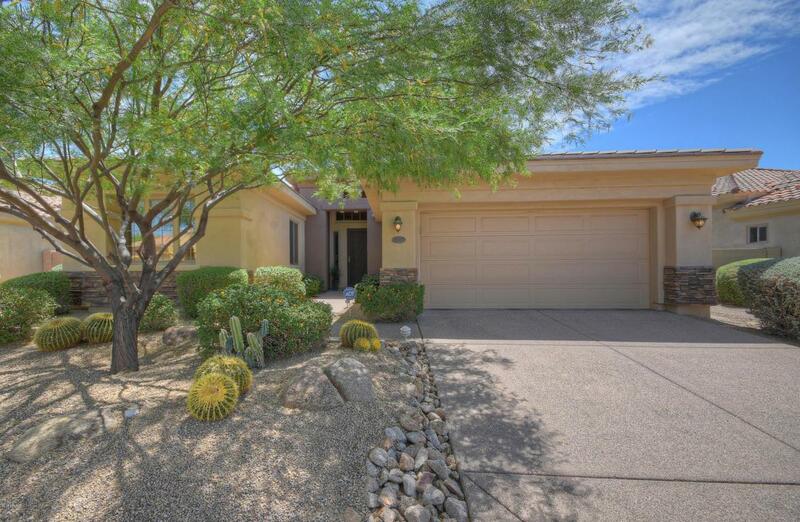 Elegant 3 bed, 3.5 bath, 2 car garage home on a quiet cul-de-sac street in the desired Aviano community of Desert Ridge. 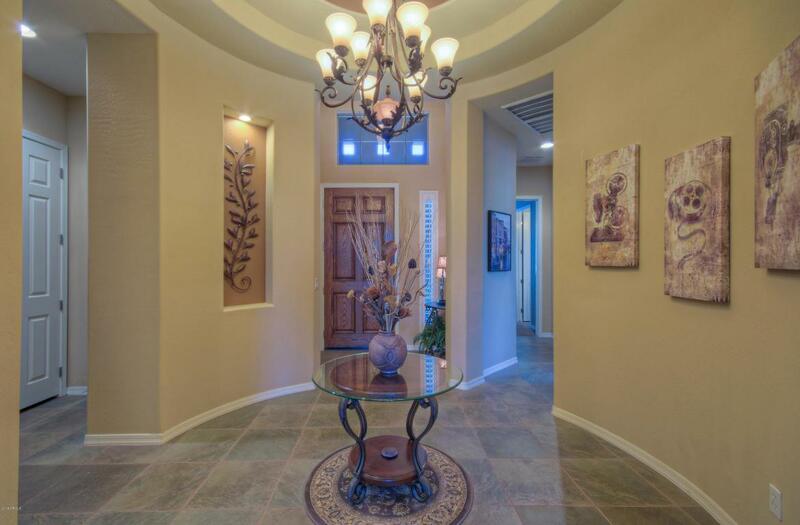 An impressive rotunda foyer welcomes you into this immaculate home that features an open and split floor plan, slab granite counters, custom cabinets, crown molding in every room, slate tile and wood plant flooring, 10+ft. flat ceilings and plantation shutters on all windows. Home also boasts fireplace, formal dining area, breakfast nook, kitchen bar seating and separate den/study. 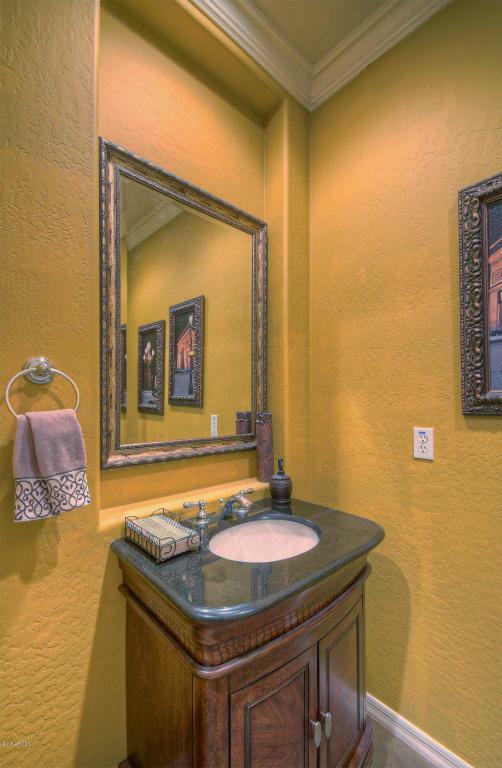 You'll love the large master suite with 2 spacious walk-in closets,soaking tub and separate walk-in shower. Even the garage is a gem with epoxy flooring and storage space galore Tastefully landscaped, totally-private back yard with grass area that borders a NAOS (natural area open space).East facing patio features a built-in gas grill. 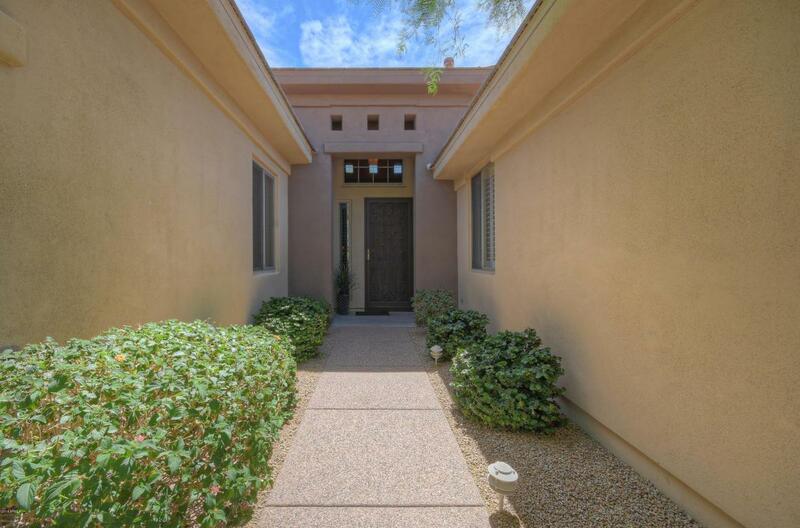 Location of home is superb,being close to the the Aviano community center with its pools, fitness center, park and activities as well as to major highways and medical facilities.